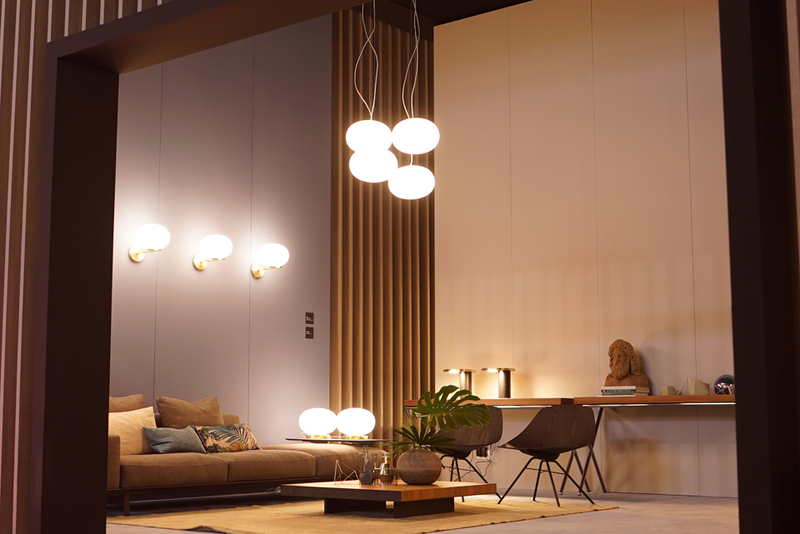 On the occasion of Euroluce 2017, Oluce introduces itself in a more prominent space with a particularly striking exhibition. 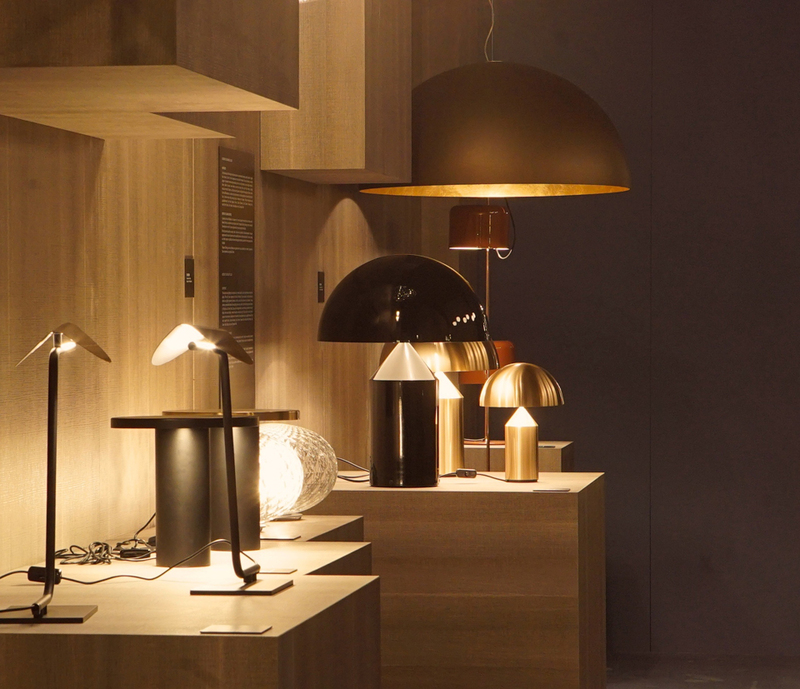 Inside the stand area, the company exhibits not just products and collections but an actual world of reference, featuring the amazing lights themselves as protagonists, with their powerful aesthetic impact and design language. The creator of the exhibition space, Ferruccio Laviani, traces out a universe made up of different ambiences and precious details, confirming the strong affinity he has with the company, which was first tested at Euroluce 2015. 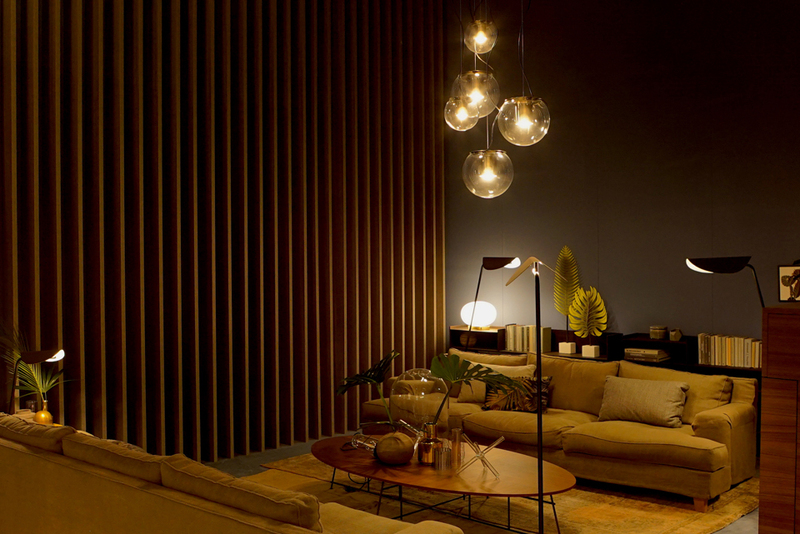 The stand becomes an example of micro-architecture, where large surfaces are contrasted with cosier, more intimate environments and where furnishings and ambiences enter into dialogue with the lighting, revealing its potential both aesthetically and technologically. This year the dominant colour is blue, chosen for the walls and flooring, and matched with an elegant beige for the dividing partitions. The perimeter of the exhibition stand alternates closed sections with semi-open sections, with tall vertical wooden battens assembled to create a series of brise-soleil facades, producing an architectural visible/invisible screening effect. Inside the stand, the products and collections define an elegant style of living, made up of sophisticated proposals, welcoming atmospheres and contemporary lines. 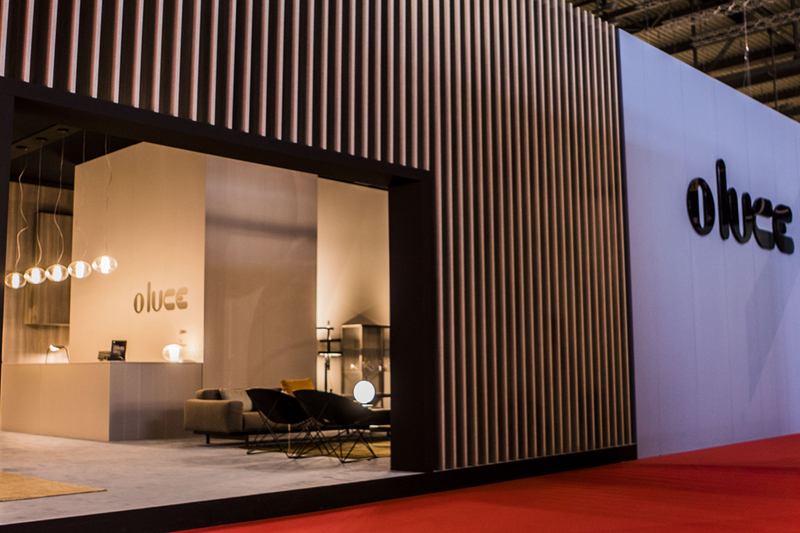 To complete the exhibition area is a display zone dedicated to the 2017 collection and Oluce’s Bespoke Tailoring, an ultra-flexible product customization service designed to meet the requirements of the contract furnishing sector.